A dimmable LED light marrying the latest technology with sleek design and innovative positioning. 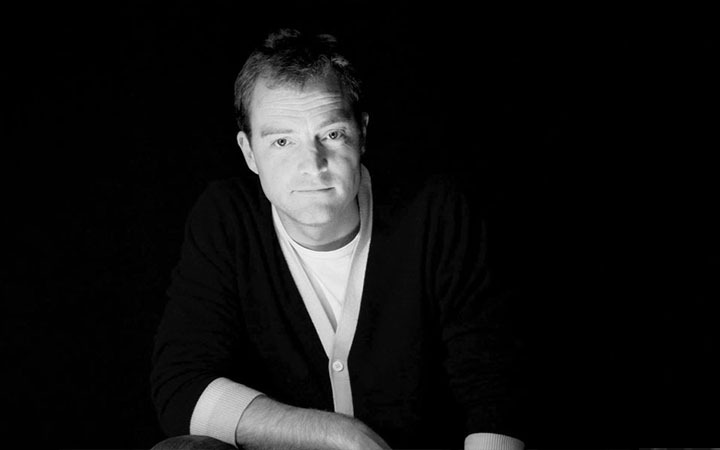 Jake Dyson studied Industrial Design at Central St Martins College of Art and Design and began his career designing retail interiors in shops, cafes and clubs. He later bought a mill and lathe to start experimenting and developing products, with a hands-on approach all the way through conception to a product's manufacture. His studio and workshop are based in Clerkenwell in London. While a designer's "Aha!" moment may be fleeting, truly great lighting isn't created overnight. 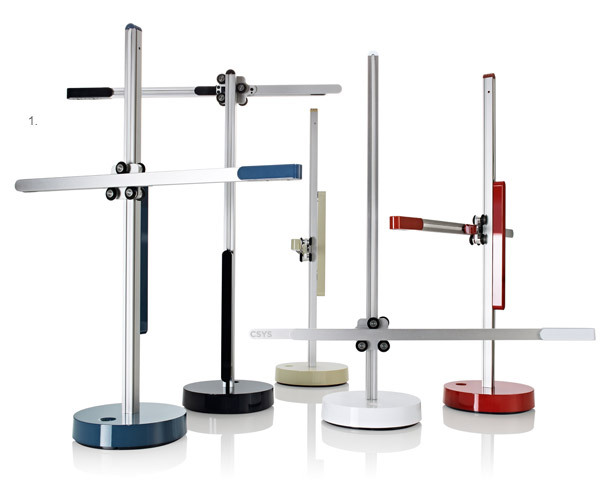 The Jake Dyson Studio spent six years deep in the research and mechanics that led to the CSYS LED Task Light, which aims to challenge the everyday desk lamp with innovative merchanics, seamless positioning and lamping that is literally meant to last a lifetime. The son of high-profile inventor James Dyson-already a household name in vacuums and fans-Jake Dyson has taken the same passion for rethinking and reengineering common products. The CSYS Task Lamp is inspired by a construction crane and drawing board, effortlessly adjustable at three axes to allow exact, stable positioning. Setting the LED head close to the working area allows focused illumination, while raising it creates a wide, even pool of light. The mechanics are designed to ensure a smooth, accurate movement. The LED task light is fully dimmable, designed around the latest generation of high power, warm white LEDs that are five times more energy-efficient than a comparable halogen bulb. The spread and intensity of the light can be controlled within a working area, with an optical design that minimizes hot spots and glares. Plus, the compact structure of CSYS ensures that the light source isn't obtrusive when positioned in your line of sight. Perhaps the best part-with tons of advanced heat pipe technology packed inside, the CSYS Task Lamp runs brightly and efficiently for more than 37 years. In that amount of time, you'd buy about 32 CFL bulbs for the same life span. A fun fact for geometry buffs—there's something in the name. CSYS refers to the system of coordinates that defines an object's position in the X, Y and Z axis. The spread and intensity of the light can be controlled within a working area, with an optical design that minimizes hot spots and glares.